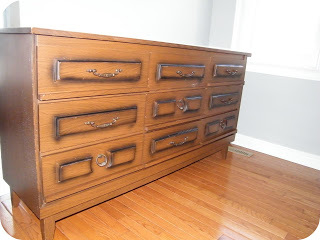 First I removed the hardware and set them aside for later, the next step was to sand the entire dresser. I then used CIL Realife Paint (which is a one coat application it has paint and primer in one) to paint the piece. 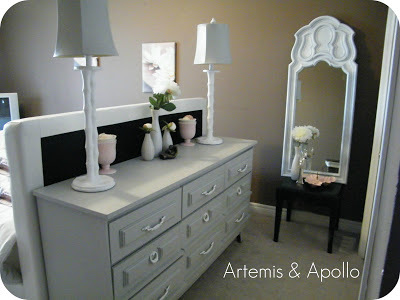 This dresser took three coats of paint to get the proper coverage. 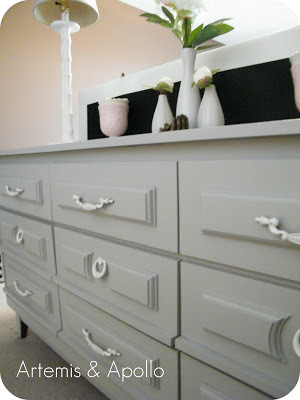 I then took the old hardware and spray painted it white and attached them back on once the paint had dried. Take a look at the finished piece, I think it turned out pretty good! So for 10 bucks and a bit of elbow grease I have an awesome dresser to put my many things in. You too can do this DIY project.